Some taxi drivers in York have been operating without valid criminal record checks in place due to a “serious” error by City of York Council. A report by the council’s third party auditors Veritau uncovered that the council had not kept up-to-date background checks on its drivers working in the area. Veritau said in a report: “Checks were out of date by several years and records had not been updated,” and that meant “a potential risk to the travelling public if drivers have not been vetted”. The criminal checks on new drivers entering the trade were however carried out in accordance to the council’s licensing policy. The report states that the auditors found checks on some of the councils drivers were years overdue and some records were simply not on file at all. Drivers and cyclists in London have the worst relationship of anywhere in the UK. A study by Cars on Demand asked 2,000 drivers and cyclists in every region in the UK to rate each other’s performance on the roads. The ratings ran from one to 10 with one being the highest and 10 the lowest. Drivers in the capital gave cyclists a 4.9 whilst cyclists scored drivers 4.1 – scoring each other lower than any other region. This was also well below the UK average, with British drivers rating cyclists 6.1 and cyclists rating drivers 4.8. Paul Brown, managing director at Cars on Demand said: “It appears driver-cyclist relations aren’t at their best, which is a great shame. The survey also found that three quarters of drivers in the UK empathise with cyclists and the frustrations they fell on the road such as driving in traffic whilst a total of 39% of drivers also confessed to having road rage and getting angry at cyclists. A new booklet promoting the Knowledge to potential taxi drivers has just been published online. How to become a London taxi driver has been compiled by TPH. It talks about the proud history of the profession in London and shows people how they can become part of that tradition going into the future. The booklet contains chapters on how to apply to study the Knowledge, the different stages to learning, how the system of appearances works and what individuals need to do to be successful students. 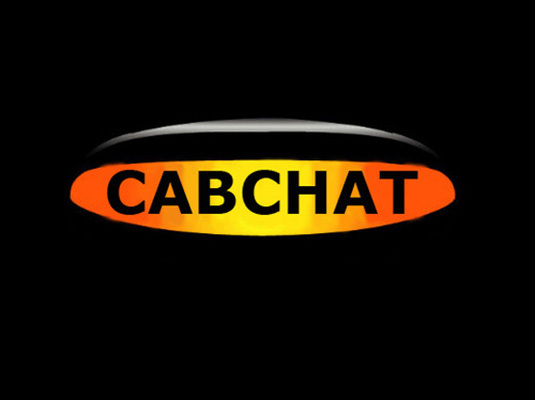 There are also case studies with students and working cabbies giving their reasons for wanting to complete the Knowledge, and why they love being taxi drivers. Katie and her team are now taking the printed copies of the booklet into schools and colleges to inspire the next generation of London’s finest. The pump prices of both petrol and diesel have risen for the tenth week in a row. Petrol now averages 130.4 pence per litre while diesel is at 134.4p. These are the highest prices for four years. Petrol has risen 12.2p in the past twelve months, whilst diesel is 14.3p more expensive than a year ago. Brent crude is trading at just below the $80 per barrel mark. Chancellor Philip Hammond hinted earlier this week that he may scrap the eight-year freeze on fuel duty in this autumn’s Budget. He told MPs his department’s analysis from 2014, which stated the benefits of the freeze offset all tax losses, would “have to be looked at again in the context of the economy today”. However, The Treasury still receives 60% of the pump price in taxation, a mix of fuel duty and VAT. “The Chancellor rightly says that drivers have benefited from a prolonged fuel duty freeze, but we shouldn’t forget that for many people real wages have stagnated or even fallen over the past decade. “As it is, transport – and in the majority of cases this means running a car – remains the single biggest area of average household expenditure. A London taxi driver is trying to trace a Suffolk man who left a bunch of keys in his cab. Kevin Quinn picked up the man in Covent Garden and dropped him at the offices of Estee Lauder in Cleveland Street W1 at around 10.30am on Wednesday September 11. Kevin later discoverd the keys in the back of his cab but despite making enquiries at the drop-off and with the bank whose card the man used to pay the fare, he has so far been unable to trace him. Kevin said: “We got chatting during the journey after I picked him up. “All I know about him is that he said he came from Stowmarket in Suffolk, that he had driven down to London and that he had parked his car in Covent Garden before getting in my cab. “It’s a big bunch of keys and I know that when you lose them it drives you mad. Kevin can be contacted on 0771 556 9282.